Apr 14, 2004 — Yaakov Elman is probably the only person in the world who could forecast the weather in Middle Persian — a skill that would have been a hot ticket about 18 centuries ago in the Near East. Fortunately, this one-of-a-kind scholar has other talents and other goals. But how does one get to be a meteorologist and a Middle Persian scholar? If the Bronx-born Prof. Elman is any example (actually, he’s the only example), one must be eminently practical and insatiably curious. Yaakov’s aptitudes were evident at age 12. Dissatisfied with the limited range of his yeshiva education, he taught himself modern Hebrew. Later, around 1960, he discovered a series of Hebrew articles on the Bible in the ancient Near East. That finding fired his passion for an academic career and he is now associate professor of Jewish studies at YU’s Bernard Revel Graduate School of Jewish Studies. The necessities of life, however, put his ambitions on hold. Yaakov’s father died when he was 19. On the advice of his mother, he pursued work more accommodating to his shy personality. Yaakov started taking courses in Semitic languages at Columbia. By 1974, he had a master’s in Assyriology, which led to a job managing a Hebrew bookstore. His expertise became well known to the academic clientele, who decided that such a promising young scholar should do more than peddle books. 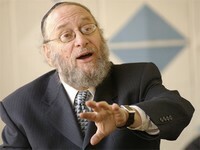 They arranged for him to study tuition-free at NYU, where he earned a doctorate in rabbinic literature in 1986. Prof. Elman soon found a home at YU, as well as a base for his uniquely omnivorous brand of Talmudism, which combines a strong interest in Jewish thought with more conventional textual considerations and now feeds upon Jewish as well as Zoroastrian, Manichean, and Christian sources from the Middle Persian epoch. According to Prof. Elman, this area of study has languished for eons because Talmudists have not studied Middle Persia and experts in Middle Persia have found the Talmud too difficult. “You really need a Talmudist to do this, as Iranist Vera Moreen [of Swarthmore College] pointed out to me,” says Prof. Elman, who learned Middle Persian on his own and is filling in the chinks with the help of Prof. Oktor Skjaervo, the Aga Khan Prof. of Iranian at Harvard University. Given the importance of this research, Prof. Elman spends several days a week at Harvard, working with Professor Skjaervo, who heads the Near Eastern languages and cultures department. Relatively new to the field, Prof. Elman is already well known among the world’s community of Persian scholars. During the 2002–03 academic year, while on sabbatical from YU, he was a Harry Starr Fellow in Judaica at the Center for Jewish Studies at Harvard University, affording him time to work on one book and start another. “I have a good memory and a lot of intellectual curiosity, and I don’t sleep much,” says the professor, explaining his wide and deep scholarly interests.